UPCPMT Counselling 2013 upcpmt.nic.in Letter Schedule Cut Off Registration : 1. 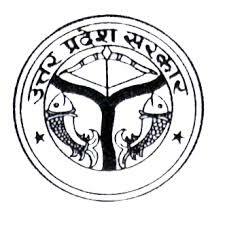 Chatrapathi Sahu Ji Maharaj University, Kanpur has released notification as UPCPMT Counselling 2013 for those candidates who has qualified the Uttar Pradesh Combined Pre-Medical Test (UPCPMT) 2013. 2. UP-Combined Premedical Test (CPMT) counselling will be held from 9th September 2013 to 14th September 2013 at four centers namely King George Medical University (Lucknow), Ganesh Shankar Vidyarthi Memorial Medical College (Kanpur), and medical colleges of Allahabad and Meerut. UP CPMT Exam was held on 16th of June 2013 and all the candidates who have qualified in it will be called for Counselling. All SC/CT candidates whose rank is in between 01 to 1000 can register on 9th September 2013. The SC candidates who ranked above 1000, can attend the counselling on 10th September 2013. General category candidates can attend counselling on 10 September 2013 and 11 September 2013. Candidates who have secured under rank 1 to 400 and 401 to 1000 can attend the counselling respectively. Applicants under rank between 1001 to 2500 can appear for registration scheduled on 13 September 2013. Checklist of documents that you need to carry for UPCPMT Counselling. Bank draft has to be made as per the guidelines mentioned on UPCPMT prospect. Other relevant documents with UPCPMT application form. Original and photocopy of counselling letter. Medical documents mentioned on UPCPMT application form. 4-6 Passport size Co-lour photographs. 7. Candidates join us on Facebook for latest news and updates about UPCPMT Counselling 2013 Schedule and other details. Guys subscribe us for free email alerts and bookmark our page for future reference.